Wet rooms are a great alternative to a shower or bathroom. Providing practicality, style and a touch of luxury, wet rooms are becoming increasingly popular, and we’ve created a guide on how to install a wet room yourselves. Before installing a wet room it is important that you have measured the dimensions of the space and created an accurate layout plan. Known for being stylish and for adding value to a property, wet rooms are also fantastic for mobility issues. You can open up your home to elderly guests with accessibility issues which can make visits more convenient for family members. Wet rooms are extremely easy to clean too, you can just use a standard bathroom cleaner all around the tiles, panels and shower unit. What do I need to install a wet room? Using firrings, you can raise the joists around the lowest point of the floor to ensure there is a 10mm fall over 2m. This will allow water to run off into the drain. 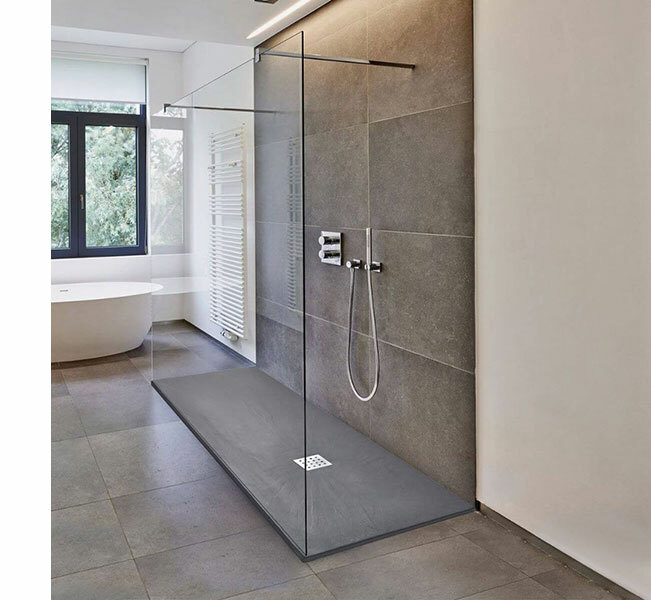 However, if the shower tray has a fall already and water is not going to be going outside of the shower, you may not need to create further falls in the floor. You need to also mark where the nearest joists are. Ensure you do not hit any surrounding pipes or wires. Once you've cut along the lines, remove the loose floorboards. This will create a solid layer on which to fit the shower tray. Now you've marked the location of the drain, cut a hole in the floor to allow for the drainage gully. Use a connector and adhesive to connect your gully to your waste pipe – we’d recommend using a solvent glue. 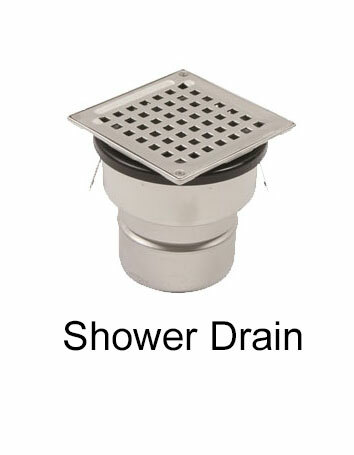 It is important to ensure that the top of the drainage trap is level and central to the shower tray, so that it will easily connect when you install the shower tray. Don’t forget to test the drain for leaks before continuing with installation. It is important to ensure the drain has been tested and does not leak before securing the plywood down. Use the floorboards that were previously lifted to fill any gaps that have been left between the joists and the shower tray. Once you have done this, remove the shower tray again. Choose a thickness that will bring the floor level up to the shower tray, or a tiles depth below if the shower tray will be tiled as well. Once applied, leave to dry. 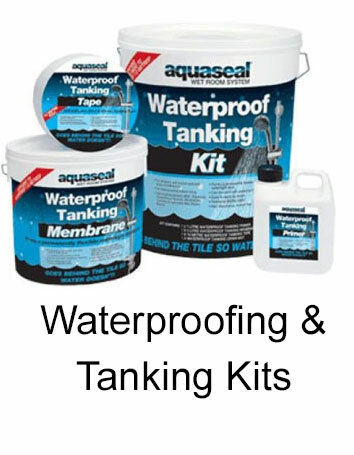 For extra leakage or moisture prevention, you should also use pro-seal tape across all board or membrane joints, ensuring it is half on the tray or floor, and half on the wall, and install internal corners with adhesive. Now lower the shower tray onto the floor. 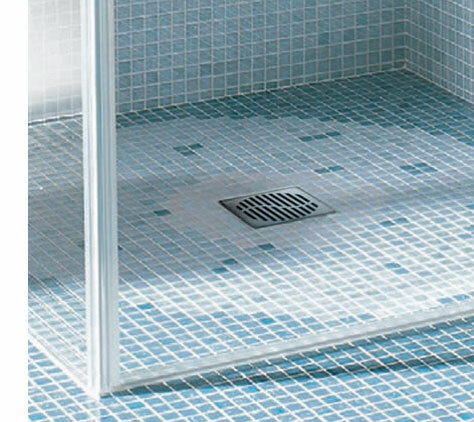 Once the shower tray is down reach into the hole and pull the drainage trap up into position until it clicks. Check the edges are level and then leave to dry. If you're planning to install underfloor heating then this should be the next step before tiling. We’d recommend choosing tiles with slip resistance, and remember that the tiles must be able to accommodate the fall to the drain, which is why mosaics and small tiles are often chosen. 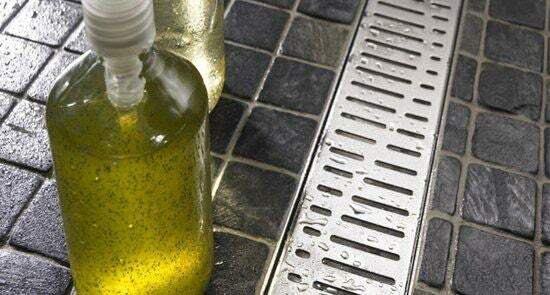 Place the drain into the hole, and measure the distance from the finished tiles to the top of the shower, and cut this distance from the bottom of the drain section. 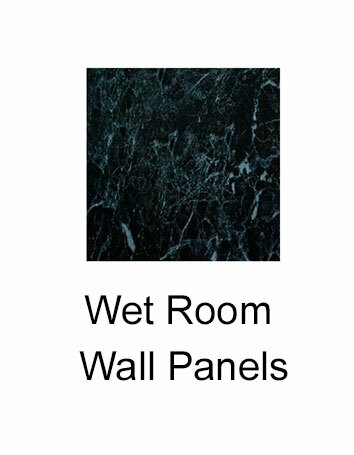 Once cut, this can be secured in place using a wet room or bathroom adhesive. We recommend easy-to-fit tongue-and-groove Geopanels. Before fixing, it is important to ensure that the Geopanels have been trimmed to the correct size, leaving a 3-4mm clearance around any pipes or accessories. Geopanels should be fixed directly to battens, using shower panel adhesive or screws, staples or panel pins. Top tip for Geopanels: Start fitting Geopanels at the corner furthest from the door and panel across in both directions, ensuring the last panel is fitted above the doorway. If you have any outer edges, for example if your wet room panelling is not extending around the entire room, but just in the proximity of the shower, finish them with U trims. Shower panel sealant should be used to seal joins between panels, as well as internal and external corner profiles where required, and to secure covers around any pipes or accessories. 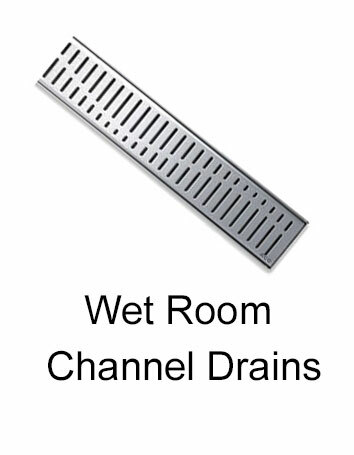 For more information or help and guidance on how to install a wet room, or for any information about sourcing the materials needed, contact our drainage experts on 01752 692 221 or use our live chat in the bottom right.